Threads dedicated to the discussion of individual episodes. Everything from casual observations to in-depth analysis welcome. NightSlayer2 wrote: 1) Why didn't Feral blackmail Manx into letting him do whatever it took to stop Dr. Viper? Like Feral could've announced to Ann Gora that Manx wouldn't let him destroy the building in order to stop Dr. Viper and that would've created bad press for Mayor Manx. And if Manx fired Feral, that would also make him look bad since Feral would use the media against Manx. Manx does have to care how people view him since he is a politician after all. I don't think blackmailing your boss especially the mayor is a good idea to get what you want. And if Feral did that whats going to stop Manx from spinning it in his favor. Like you said Manx is a politician. Which means he deals with controversy and bad press all the time. Like all politicatians they all know how to turn bad press in their favor. Just ask Bill Clinton about it. 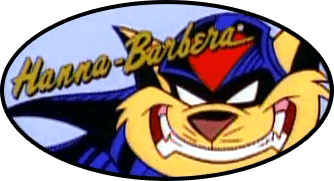 NightSlayer2 wrote: 2) Why didn't Manx arrange for Feral to go after the SWAT Kats after they destroyed his building? Feral would've loved it if Manx had given him authority even though that I would be an unfair move. The same reason Batman isn't arrested after he saves the city. They are heroes and have just saved the city. Except Batman's record of exploded buildings is dwarfed by the SWAT Kats'. Well, after all this time, the Enforcer Sergeant has a name, as per Lance Falk's script for this episode: it's Sergeant Talon. Also, two of the Enforcer pilots in the episode are named Burge and King (get it? "Burger King"). And the individual Plantimals finally have names, as well: Flyers, Rovers, Behemoths and "the Elevator Beastie." The bit with Feral getting acid on him and needing to be hosed down really should've been kept.